Noble Designs: Bring on the Color! I don’t know if it’s the unreasonably cold winter we are having in Kansas City this season or my recent trip to Palm Beach, but I am craving color. Noble Designs has always been a firm that is not afraid to use color, but particularly right now I want to share some of my favorite “color” pops. Put it on a chair! 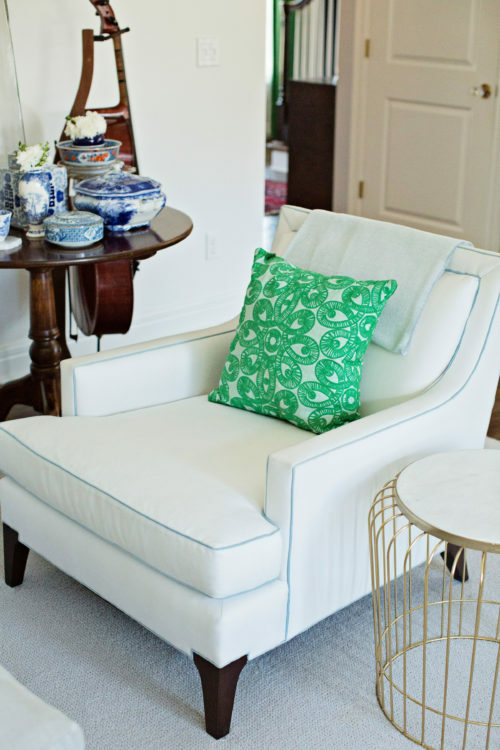 It’s less commitment than a sofa (which I like a colorful sofa too), but a chair is a good way to add drama and make a statement in your house. No matter what you do most likely, you will be ready for refresh in your home in 15 years. So committing to color on a good piece of furniture is not like committing to marriage. It’s ok because you can enjoy the piece for years and then recover. Don’t be scared, go for it. Not able to paint all your walls kelly green, ok then do your ceiling! It’s a safer place, but the unexpected element of the ceiling being decorated makes it extra special. 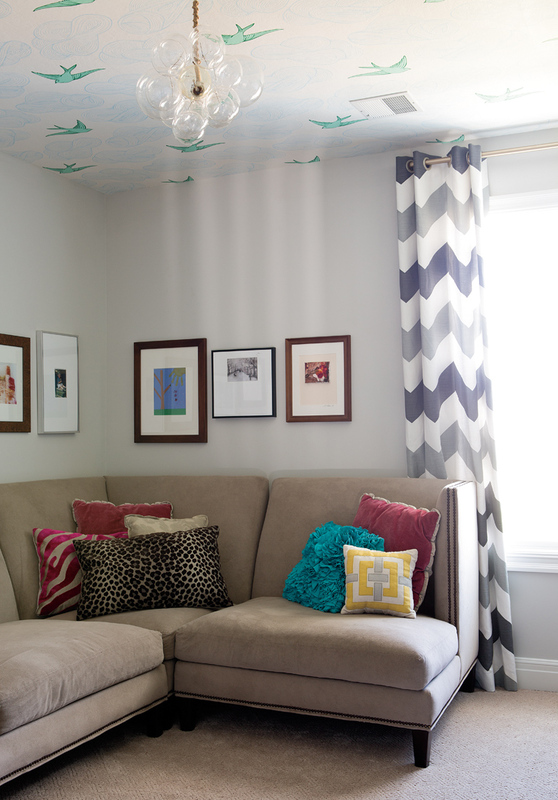 Do a bold color or wallpaper for a fun mix of colors and pattern. Can’t talk you into those bold moves – add pillows and throws. Now, these are not throw away items either especially if you find that special fabric but, it is a great way to add piazza without scaring the family. And it’s amazing what a few pillows and a few well-placed throws can do for a room. You may not have time to make significant decor changes or large home renovations before the holidays, but you can make a difference in your space. If you are feeling really stuck, get in touch with Noble Designs at saranobledesigns.com. You can also follow them on Instagram @nobledesigns. Thinking of putting your home on the market or purchasing a new home to decorate? Let the Cami Jones & Company Team help you! Give us a call today! You can reach our team at 913.521.8806. Do you want to come see us in person? Our office is conveniently located at 5000 W. 135th St. Leawood, KS 66224. Take a look at this beautiful, custom home located in Leawood, Kansas. It is a true show-stopper. 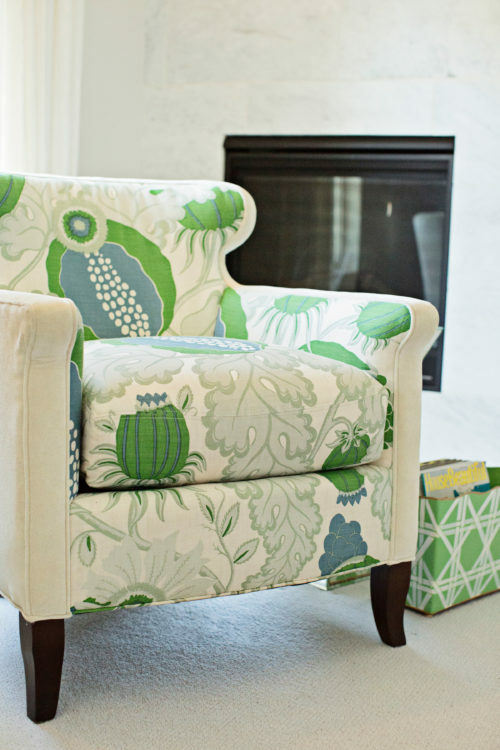 From Sara: Fabric is one of those things that can quickly transform a room from drab to fab in no time. High-end designs are easily accessible to the general public and reupholstering a piece with good bones makes all the sense in the world. If you're contemplating a basement remodel or even finishing the basement for the first time, we've poked around and thought we'd share some of 2018's top trends when it comes to basements.